Good morning all, I hope it is bright and sunny wherever you are. Here there is spring sunshine and a nip in the air. It is 8.25am and already there is flour on the floor, the kettle is dusted with the stuff and my hands bring smidgens of dough to my keyboard. Yes, another cooking and booking day has dawned chez moi here on Walton’s Mountain. You may well be wondering what on earth Homing 101 is and what is this image above. Well this is the brand new free eBook that I have created for you dear reader full of 101 (surprise!) 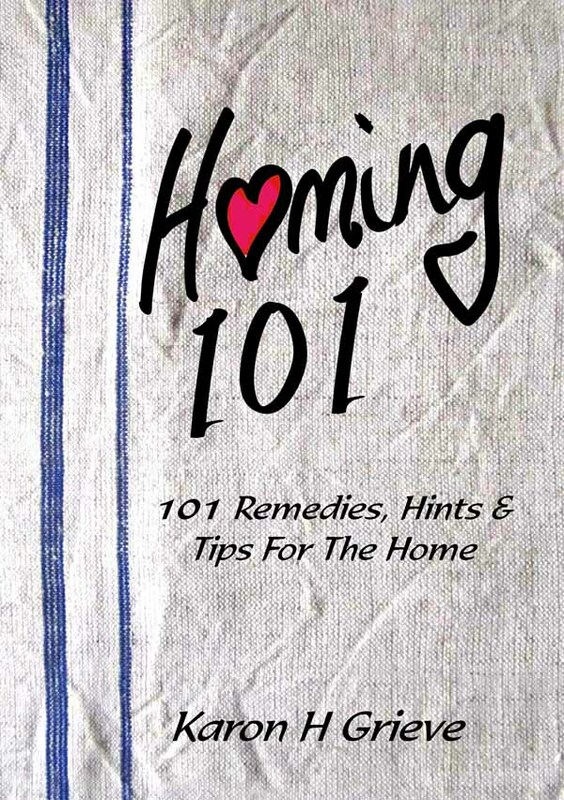 hints and tips and home remedies, some nice piccies too. I’ve really enjoyed putting it together and thought I would put it on the site as a giveaway. You can get a download really easily just by filling in the wee box on the top right side bar. Don’t worry on the email front, I certainly won’t be bombarding you with useless messages, I hate sites that do that, you will just get the link to the Homing 101 download and then when I have mega important news you guys on the Mailing List will be the first to know. Getting to sample new books and things like that. Oh my darlings I have so many goodies in the pipeline just now! For those of you who signed up for my old newsletter a long while back, I shall be zapping out an email today to link you to this free eBook. If you think you should get the email and don’t receive one today then just fill in the wee box up on the right and you will get a copy immediately. Other news from here. Well I have to say I was saddened by the death of Margaret Thatcher yesterday. I know we are a country divided in their feelings for this lady, but I thought she was one of the greats, a woman with more balls and determination than any man. She did what nobody would dare to do, she took on the might of the unions and the wrath of the people. She made enemies and friends in equal measure, she was a power for good to kill the Cold War and stop the fear that a great many of us had grown up with under the constant cloud of possible nuclear warfare. She was indeed a lady of iron, a woman of substance. It disgusts me that people should celebrate on the streets in Glasgow and in some cities in England. Yes we all have our own opinions, I am showing mine here, but it seems somehow so wrong to actually sing and dance and be gleeful at the loss of any life, especially one who did so much for so many. So I salute you Lady Thatcher, may you rest in peace. So I’m off back to my kitchen now. Idgy is away to Glasgow this morning on the train with her friends. Off to buy comics at the American comic shop. Off to have lunch and buy a new T-shirt. Then on to a sleep over. Yesterday we made a huge 2 litre bottle of Mocktails (non alcoholic cocktail) for her to take for the sleepover. Her backpack with the hooch, huge plastic goldfish bowl and funky straws was also stuffed with sweets, sleeping bag and best pjs. Just as well this was being sent on to the pal’s house before hand and not being dragged round town all day. Meanwhile I shall be making foodie goodies and snapping photos. Oh and I’ll be washing up too, and sweeping the floor – doing my Zen Homing and enjoying the moment. I can’t wait to see your tips in here. We moved house a week ago, still in chaos and no chance to bake the dog treats from your recipe. The download is brilliant – many thanks. Off on a two day girlfriend trip. Sun is shining but waiting for rain. We don’t care because we will have fun just being together with friends. The four of us went to school together and have been friends since. We do a couple trips each year. Such fun. I will be downloading your new book as soon as I get back. Can’t wait to see all the tips. Thanks for thinking of us. I will be downloading your book. It sounds wonderful. Thank you for sharing with us. Sounds like Idgy has a fun day planned. Make sure you have some fun too, Karon! Karon- I tried to download your e-book of Household tips, but when I sign up it says I am already signed up for your newsletter. I haven’t got a link via email that you said you were sending. Would it be possible for you to send me the link so I can download your book? Thanks so much! Thank you so much for the lovely e-book. Thank you for taking the time to share all the wonderful tips in one book.